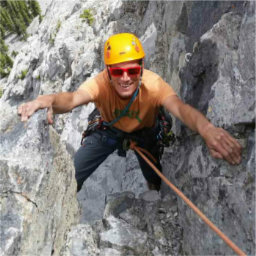 I began climbing over 10 years ago when I enrolled in the Mountain Adventure Skills Training program in Fernie B.C. where I learned from certified ACMG guides the practice of safe and ethical climbing. I started at Spirit Rock running the summer kids camp programs and have had the chance to instruct some pretty fantastic local climbers. I’m currently a full-time nursing student and work part time with the rest of the zoo crew/ out-to-lunch bunch that makes up our climbing community. What I love about Spirit Rock is the support and encouragement freely given by everyone who enters this building and the triumphs we share in our personal victories. The excitement felt in this place is palpable when someone ‘sends their climbing project or sticks that hold to defy gravity.